"To sell your soul is the easiest thing in the world. That's what everybody does every hour of his life. If I asked you to keep your soul - would you understand why that's much harder?" 'The Fountainhead' along with 'Atlas Shrugged' are the two novels that established Ayn Rand as the pioneer of the objectivist philosophy after the lukewarm response to her initial works 'Anthem' and 'We The Living.' You can get the taste of her philosophy in 'Anthem' but it is 'The Fountainhead' where you experience in detail the symbolism of individualism, objectivism, and selfishness. Since then the novel has become a cult and now has a huge fan following. Ayn Rand worked as an unpaid typist in an office of a famous architect to do extensive research on the central theme of this novel, architecture. This novel is about how a man stands against the system. As happens with other novels based on not-so-acceptable topics, Rand had difficulty in finding a publisher for this novel. The story of 'The Fountainhead' revolves around a struggling architect Howard Roark who is not willing to compromise on his ideals to achieve success. Due to this, he was refused contracts many times but nothing deters him. He does everything for himself and has no responsibility towards society. He has a complex relationship with Dominique Francon who writes on architecture. She has a notion that the world is not yet ready or not worthy to receive the creations of Howard Roark. Howard Roark's batch-mate at his college, Peter Keating symbolizes everything which Howard stands against to. He has no principles and runs for the success, howsoever that is achieved. He makes it a point to have a reach in the social circles to make contacts and later use them for getting contracts. The main antagonist of the novel is Ellsworth Toohey, the socialist person organizing the workers at a newspaper company and the champion of the collectivist cause. He sees individualistic mindset of Roark as a major threat and does everything to destroy that. Gail Wynand is another personification of Rand's virtuous spirit. Via the character of Gail, rand has communicated the virtues of selfishness and her stand against socialism. The character of Roark is not of someone that will be liked by everyone. At times he is incorruptible, likable and at times he is obnoxious, failing even to smile. Right from the college where he was expelled for failing to conform to the traditions of college to the industry where he refused to allow changes in his design, he had been unyielding to the will of others. Consider the situation that with so many directors and board members and everybody wanting to have his opinion count, how difficult it will be to have a design of a skyscraper go unchanged? He asked for the rationale behind the suggestions by everyone and everybody came with a response, "It is the tradition to build like that." If delved deeply, like Roark, Toohey is also doing everything for himself and he is running for the power as evident from his long speech at the end of part three. 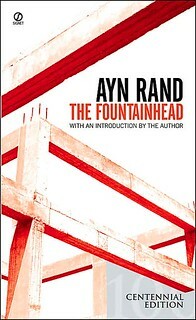 The recurring theme of the Rand's novels are the long speeches by the characters as seen in Anthem's end or in 'The fountainhead' by Toohey and Roark. In this speech, Toohey lays down his approach and tells what he wants to achieve by standing against anyone embodying the free thought, in this case, Roark. So if Toohey is also selfish and doing everything for himself, why is he main antagonist of the novel? Isn't' it something that would have made him virtuous? He is doing under the garb of collectivism, treating all the people as representative of collective which Rand does not seem to like. She is averse to any hint of socialism and communism. "No creator was prompted by a desire to serve his brothers, for his brothers rejected the gift he offered and that gift destroyed the slothful routine of their lives. His truth was his only motive. His own truth, and his own work to achieve it in his own way. A symphony, a book, an engine, a philosophy, an airplane or a building—that was his goal and his life. Not those who heard, read, operated, believed, flew or inhabited the thing he had created. The creation, not its users. The creation, not the benefits others derived from it. The creation which gave form to his truth. He held his truth above all things and against all men." While traditions want the men to move on like they have done for the centuries, an enlightened individual refuses to work according to the conditions laid down and works for his own satisfaction, his own prosperity. This type of selfishness, according to Rand, is virtuous. Ayn Rand succeeds in creating a new philosophical thought of individualism and objectivism. She wrote many books mostly collection of essays on thoughts like virtues of selfishness, capitalism and individualism for others to know about this school of thought. 'The Fountainhead' is a long novel running around seven hundred pages with many philosophical conversations between characters. Not an easy read, especially when you ponder over what you have read and think about the evolution of that philosophical thought.